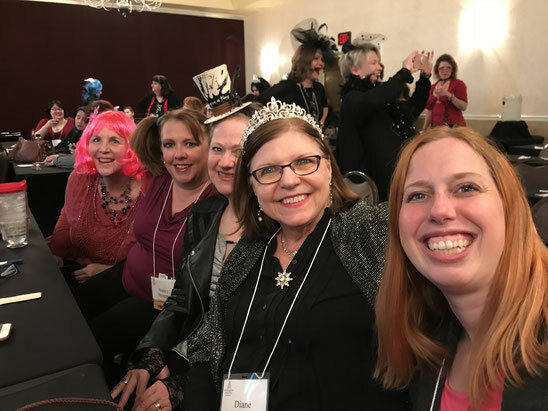 The Washington Romance Writers Spring Retreat is my chance to have fun with my friends, to learn, and to re-energize my writing. This year I did it all! Pictured here is one of the fun parts. Every year we play "Romance Jeopardy" which over the years has turned into a themed costume party (this year was "Sparkly Goth") and a raucous, silly time. The other fun part for me is just being with writers. My old writing friends and new ones. Meeting our speakers and the guest editors and agents. The learning and energizing part came from the workshops and speakers. Coincidentally, each had themes of "finding your own voice" and "speaking your truth." Best-selling author Katherine Ashe gave a workshop on Feminism and Romance where she encouraged us to use our writing skills to speak the truth that women and men are equal and should be treated as such. She challenged us to create heroines who are equals to heroes in status, courage, even sexuality. For more on Katherine's views see here. Now it is back to work for me! Luckily Lani Diane Rich did a workshop on how to focus on our writing and to be more productive. 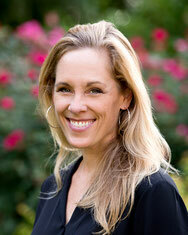 See more about Lani's podcasts. What do you think about feminism and romance? Do you like strong heroines who are the equal of the hero?